Route : from Grasmere via Easedale Tarn to Pavey Ark, Langdale Pikes and High Raise. Back via Sergeant Man and the Blea Rigg ridge. Wainwrights : Pavey Ark, Harrison Stickle, Loft Crag, Pike of Stickle, Thunacar Knott, High Raise, Sergeant Man, Blea Rigg. This is a great little figure of '8' walk from Grasmere. It is a long days hiking but has the advantage than you can bail out and head back at any point and by a variety of routes. 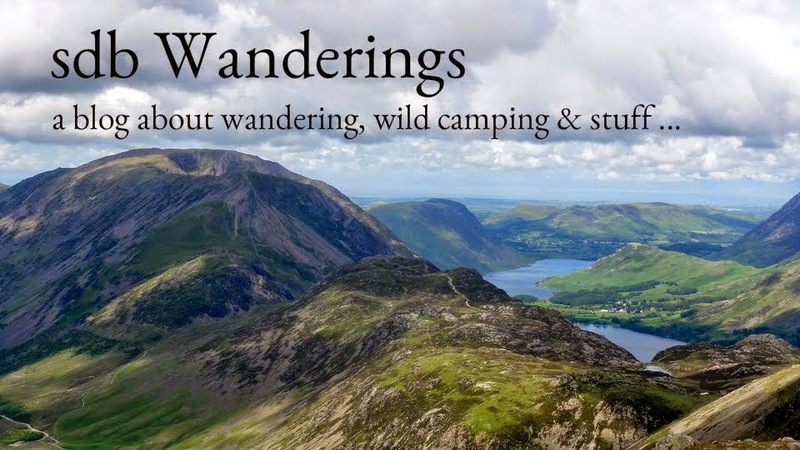 For example you could cut it short at Harrison Stickle and come down the other side of Stickle Tarn and return over Blea Rigg or continue on but at the cross over point, return the same way via Easedale Tarn. There are many options. I set off at 6:30 am mindful of the daylight available at this time of year and wanting to avoid heading back in the dark. I had reached Easedale Tarn an hour later with the morning mist still clinging to the fell tops. As I headed upwards past Belles Knott the mist began to clear but it was still swirling around Stickle Tarn when I arrived there another hour later. By 9am I was stood under Pavey Ark contemplating the fearsome looking Jacks Rake. According to Wainwright, it looks worse than it is and so with the benign weather and visibility continuing to improve, I headed cautiously upwards. Jacks Rake is a diagonal route which cuts into the sheer face of Pavey Ark. It heads steeply upwards from right to left (as you look at it from over Stickle Tarn) looking very exposed from below and appearing more like a rock climb than something within a walkers capabilities. Once on the 'Rake' however the expected feeling of exposure largely vanishes as the route is cut deeply into a gulley of sorts which is protected on both sides by rock. There is a section towards the top where for perhaps 30 feet or so that protection dissolves and care is needed as you scramble up the crags onto the summit. I would guess this is where accidents happen as unfortunately there have been a number of fatalities over the years on Jacks Rake. Care and full attention is therefore required at all times along this route. There are alternative ways up either side of Pavey Ark which do not involve the use of hands so consider all options, particularly regarding the weather and your own capabilities before committing to this route. It looks steep - and it is! When I emerged onto the summit of Pavey Ark there wasn't much to see as the mist was swirling over the summit. I headed over to Harrison Stickle which is an easy stroll on a good path. At this point the mist finally lifted for the rest of the day. After spending a good 30 mins on Harrison Stickle summit I headed off to Loft Crag and Pike O'Stickle. Compared to the drama of the past 2 hours the grassy stroll up to Thunacar Knott and High Raise was positively benign. There was a surprising amount of snow on the way to Sergeant Man sometimes in drifts up to knee deep which made for interesting progress. And so concludes a highly recommended route given enough daylight hours and plenty of stamina.